SCHENECTADY, NY—Repeatedly seeking to ease his friends’ growing skepticism and disinterest, local man Joel Mayhew peppered his explanation of the rules of the board game Pandemic with reassurances that it will be fun, sources confirmed Friday. 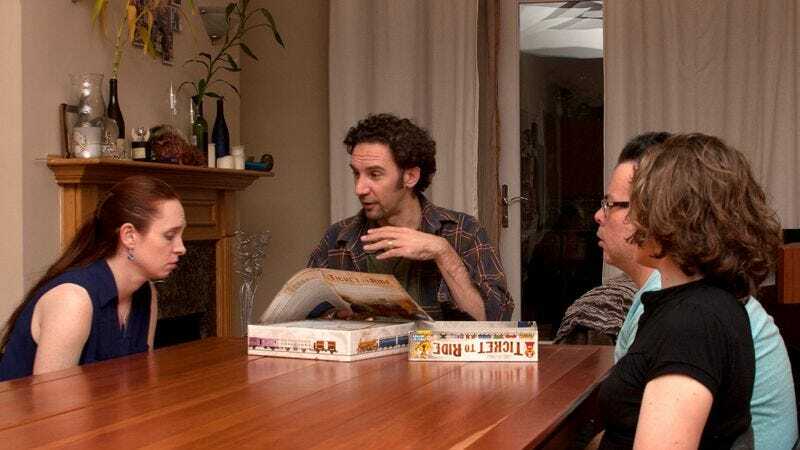 “I know you’ll really like it once we actually get going,” said Mayhew, flipping through the game’s instructions to clarify the rules while pausing frequently to promise that the game was much less complicated than it seemed. “Okay, so, basically, once you’ve completed the movement part of your turn, one option is to give or take a city card from another player. You’ll get the hang of it, I swear. Although—and don’t worry if you forget this part, because I can just remind you—you can only share a city card with a player who’s already in the same city as you. Seriously, you’re going to be addicted after we’ve played through the whole thing a few times.” At press time, two of Mayhew’s friends had abandoned the game, and he was hastily reassuring those who remained at the table that it was actually more fun with fewer players.